Urging Member States to develop educational programmes that will inculcate future generations with the lessons of the Holocaust in order to help to prevent future acts of genocide. Rejecting any denial of the Holocaust as an historical event, either in full or part. Commending those States which have actively engaged in preserving those sites that served as Nazi death camps, concentration camps, forced labour camps and prisons during the Holocaust. Condemning without reserve all manifestations of religious intolerance, incitement, harassment or violence against persons or communities based on ethnic origin or religious belief, wherever they occur. The work of remembrance pays tribute to those who perished. But it also plays a vital role in our efforts to stem the tide of human cruelty. It keeps us vigilant for new outbreaks of anti-Semitism and other forms of intolerance. And it is an essential response to those misguided individuals who claim that the Holocaust never happened, or has been exaggerated. The International Day in memory of the victims of the Holocaust is thus a day on which we must reassert our commitment to human rights. That cause was brutally desecrated at Auschwitz, and by genocides and atrocities since. We have previously written of Prof Dov Bing’s work in combating Holocaust denial in New Zealand, actioning the statements from the UN. While the UN resolutions and speeches are commendable, one UN member state (Iran) is again holding a cartoon competition to deny or belittle the Holocaust without challenge or comment from Mr Ki-moon. Of more concern, Europe has seen an alarming increase in anti-semitic attacks in recent times with some claiming that European anti-Semitism has reached unprecedented levels post-Holocaust. German Chancellor Angela Merkel speaking in her weekly podcast last Saturday admitted that anti-Semitism is “more widespread” in Germany than some believe. She called for action to “deal with [anti-Semitism] – especially among young people… from countries where hatred of Israel and the hatred of Jews is widespread.” According to a 2014 ADL poll, that hatred is focussed in Middle East and North African countries where 74% of people harbour anti-Semitic attitudes. In France Jews represent less than 1 percent of the country’s population and yet in 2014 were the target of 51 percent of all racist attacks. In solidarity with the Jewish communities in Europe we will wear a Kippah. EC4I has been very active in Holocaust remembrance, initiating and organizing the first Holocaust Remembrance Day event in the European Parliament in Brussels in January 2005. It has since grown to become an official event of the European Parliament, hosted and organized by the President of the European Parliament. We can tend to see New Zealand as relatively free of the sort of anti-Semitism taking place in Europe, however the record is not as rosy as one would hope. Whilst they go largely unreported, anti-Semitic incidents have increased in recent times. 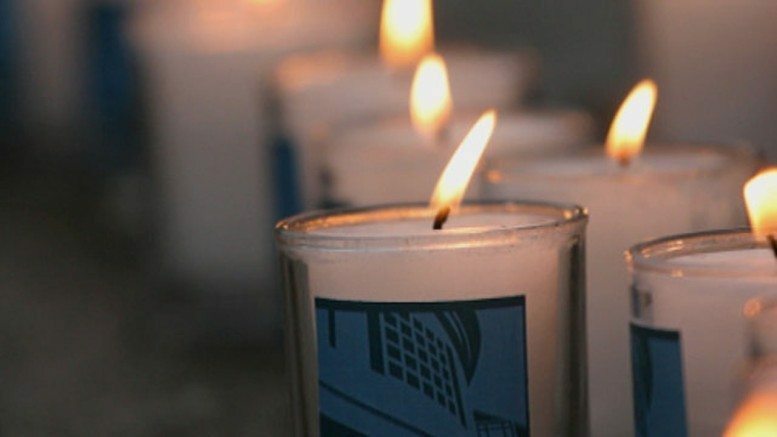 In New Zealand, UN International Holocaust Remembrance day will be commemorated in Wellington at a ceremony at the Makara Cemetery and in Tirau at an event organised by the Tirau Cooperating Church and Shadows of Shoah. Given the commendable goals set out by the United Nations for Holocaust Remembrance Day, to warn all people of the ‘dangers of hatred, bigotry, racism and prejudice’, combined with the resurgence of the ‘ancient hatred’, we think it is important to remember. However, we must remember in order to learn and respond. What you can do to remember? Attend a Holocaust commemoration event (eg Wellington or Tirau). Share a Holocaust story on Facebook. Visit a Holocaust exhibition, Holocaust centre or gallery. Wear-A-Kippah or other symbol of Jewish identity.